I like lightweight Linux distributions. For me an operating system should sit in the background and make it as easy as possible to do what it is I want to do. I don’t need flashy cubes which make you go “ooh” or hotspots and gestures which make you go “aah”. Last week I wrote a review of Manjaro and for me the whole experience was brilliant. The system was highly responsive despite being an older laptop with fairly low specifications. The navigation system was great. For more experienced Linux users who are happy to see a terminal screen every now and then Manjaro is perfect. This week’s review is about Linux Lite which falls into the same lightweight category as distributions such as Zorin OS Lite, Peppermint Linux and Xubuntu. So what is the purpose of Linux Lite. The following quote comes from the original distribution release notes. Linux Lite can be downloaded from sourceforge.net/projects/linuxlite/files/. If your internet connection is slow or you have a download limit you can also buy a Linux Lite DVD from http://www.osdisc.com/products/linux/linuxlite. Once downloaded you can use unetbootin to install the ISO to a USB drive or you can use any disc burning software to burn the image to a DVD. When you insert the USB drive or DVD you will be able to boot to either a live environment or install directly to the hard drive. I always try the live version out first to make sure there aren’t any obvious show stoppers. Linux Lite runs very well in a live environment and I was able to get online and test the software that was loaded as part of the live install. I don’t however tend to do reviews in a live environment. I prefer to install the operating system to the hard drive. On the desktop there is an icon called “Install”. Clicking this icon brings up the Ubiquity installer which is common amongst Ubuntu based distributions. 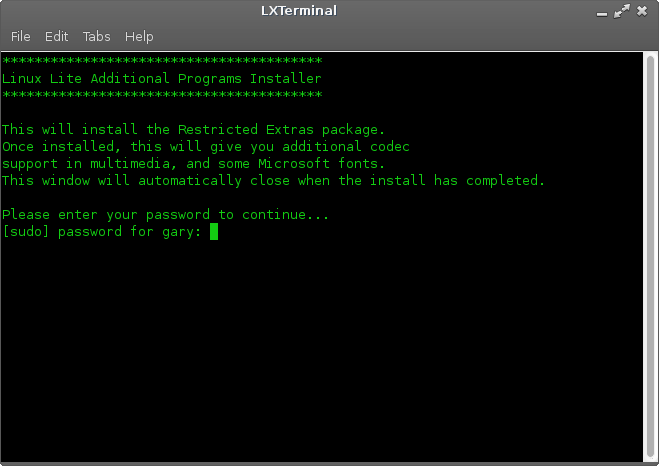 The installer is easy to follow. The first thing to do is choose whether you want to install Linux Lite over any existing operating system (IE use the whole disk) or alongside an existing operating system. Now choose whether you want to download updates as you go and whether you want third party software installed. The third party software enables you to watch flash videos and listen to MP3s. When you click next to install the files start copying from the DVD or USB drive and you can get on with choosing the username you wish to use to log in to Linux Lite and the locale and timezone. Depending whether you choose to install updates or not the installation time is about 15 minutes. If you choose to download updates then it depends on your internet connection how long the updates take. When everything is installed you are able to continue using the live environment or you can reboot the computer into the newly installed Linux Lite operating system. 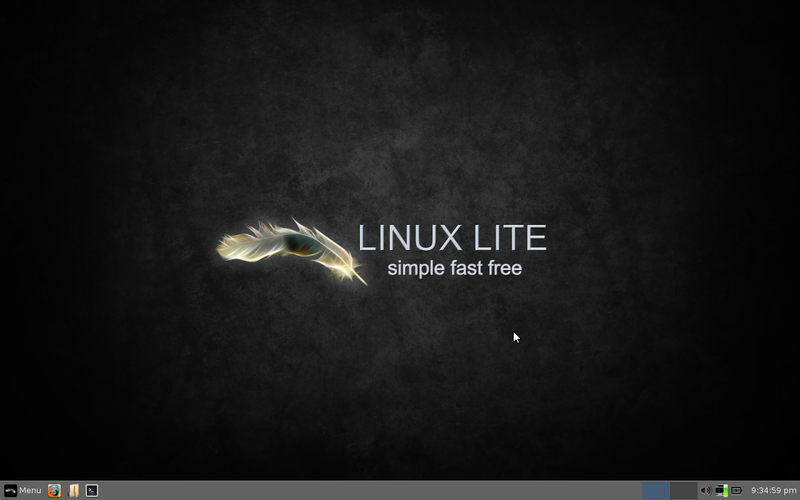 Linux Lite loads into a black background with the Linux Lite logo. There is a taskbar as the bottom with a menu, launch bar and system tray. I once tried Crunchbang and I have deliberately not written a review of it because my mind hasn’t worked its way past the scarily black background which says more about my psychy than it does about Crunchbang. I do plan to review Crunchbang properly in the future. 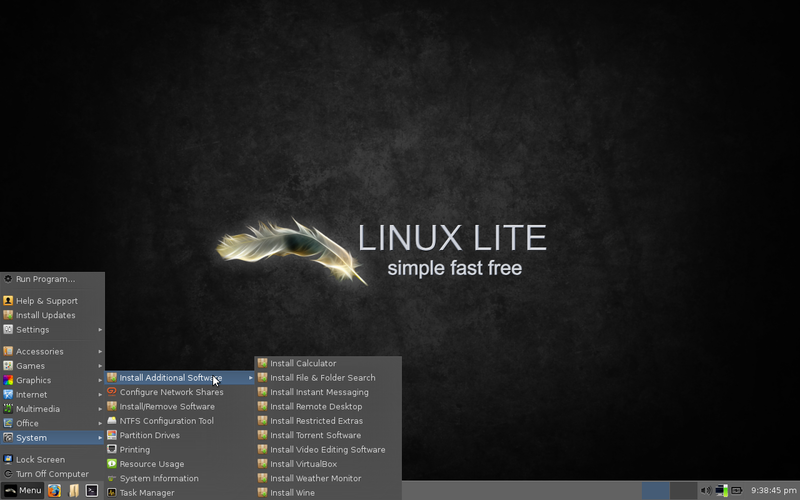 The black background for Linux Lite is broken up by the logo which makes it look smart and professional. The taskbar has a menu icon, three icons in the quick launch section which are Firefox, Thunar file manager and Terminal. The system tray has an icon for virtual workspaces, a network icon, a battery icon and a clock. The desktop environment for Linux Lite is XFCE. If you don’t like the look and feel of Linux Lite you can always follow this tutorial to customise the XFCE desktop. Windows users will feel somewhat familiar with the Linux Lite system. Everything is pretty much in the same place for Linux Lite as it is for Windows. 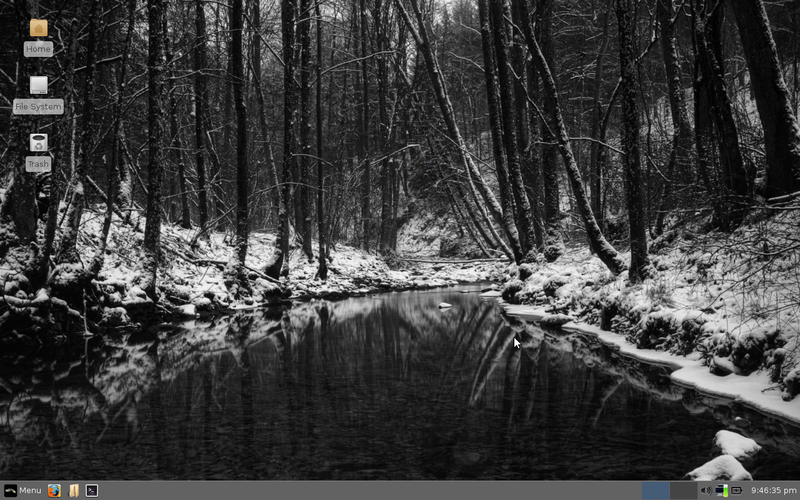 Zorin OS and Linux Mint with the Cinnamon desktop also provide a familiar look and feel for Windows users. To connect to the internet click the network icon in the system tray. (looks like 2 monitors). Alternatively click the Menu icon and select Internet -> Network Manager. 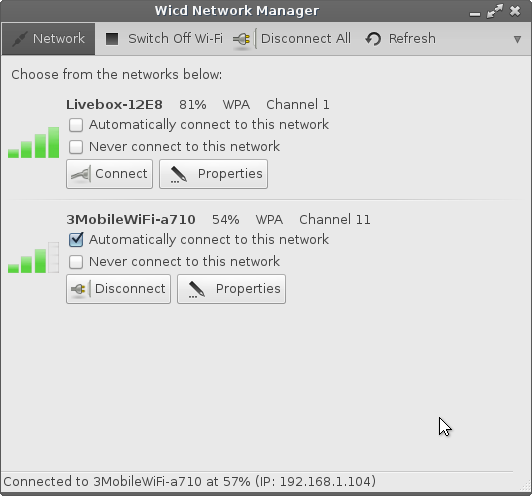 The Wicd Network Manager application will appear with a list of all available wireless networks. 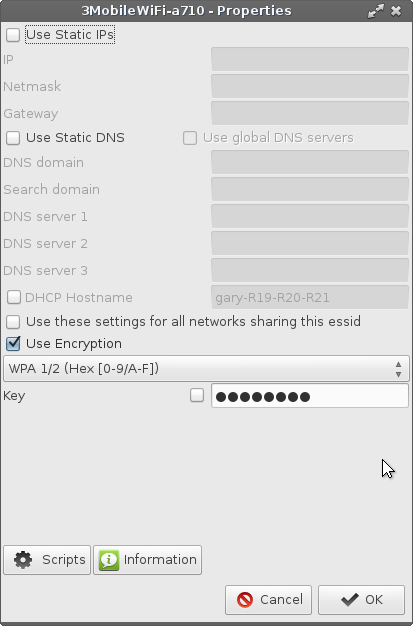 If your wireless requires an encryption key then you will need to click the properties button next to the network you wish to connect to. The Wicd application is fairly smart and should pick the correct encryption method for your network. All you need to do is enter the encryption key into the Key field. Now at this point I want to mention something that happened to me. It might be local to my particular laptop which is a Samsung R20 but it might also be a problem on other Samsung computers or indeed other makes and models. It is worth checking the box next to the Key field to see what is actually being entered into the Key field as opposed to showing asterisks (*). The reason I say this is that certain characters on my keyboard showed up as different characters. For example the 0 key became a forward slash (/). To get around this all I had to do was to press the FN key and F11. This key sequence may be different for other makes and models. You are basically looking for the function lock. When you have correctly entered the security key click OK to return to the main WICD screen and press connect to connect to the network. You can also check the automatically connect to this network checkbox if you always want to connect to the same network. The default browser installed with Linux Lite is Firefox. To install software click Menu -> Settings -> Install/Remove software. 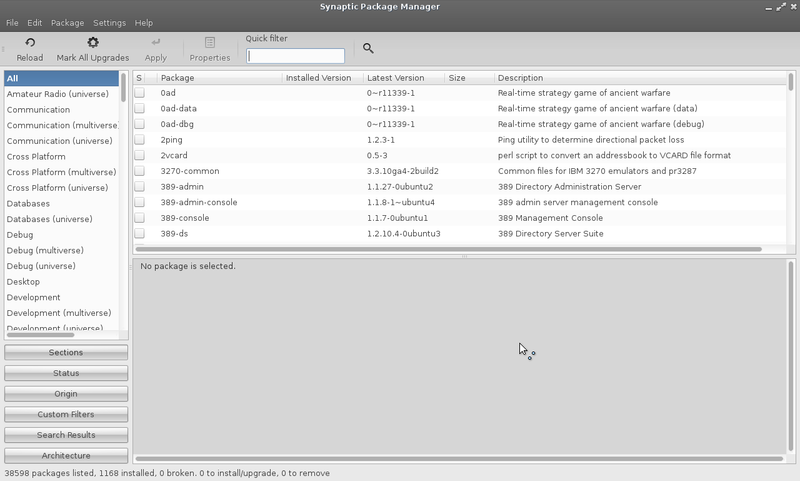 The Synaptic package manager loads and you are able to search for software to install. Within Synaptic to install software you first mark the software for installation and then click apply to actually install it. This means you can mark multiple applications for installation and then install them all at once. You will also be told of any libraries or applications that your chosen applications depend on. 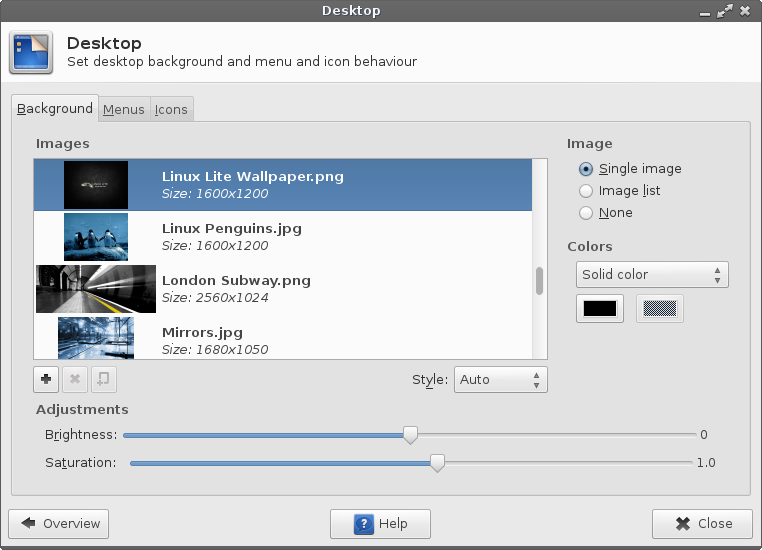 As well as Synaptic, Linux Lite also provides a menu to install more common applications. To access the list click the menu icon and then Install Additional Software. You can now install a calculator, file and folder search, instant messenging, remote desktop, restricted extras, torrent software, video editing, virtualbox, weather monitor and/or Wine. The restricted extras package includes proprietary libraries and applications which enable the use of Truetype Fonts, Java, Flash and the ability to playback MP3s. If you chose the install third party software option when installing Linux Lite you might not need to install the restricted extras package but if you find Flash and MP3 playback doesn’t work then installing the restricted extras package will fix this. Installing Virtualbox enables you to install other operating systems in virtual machines. Installing Wine enables you to run Windows programs within Linux Lite. I didn’t check the install third party files option when installing Linux Lite so I went straight for the restricted extras package. After installing the restricted extras package I was able to watch Eden Hazard’s assault of a ball boy during the league cup semi-final on Wednesday night. For listening to MP3s I noticed a glaring exclusion in the list of pre-installed applications. There isn’t a music player installed. (Although VLC is available). 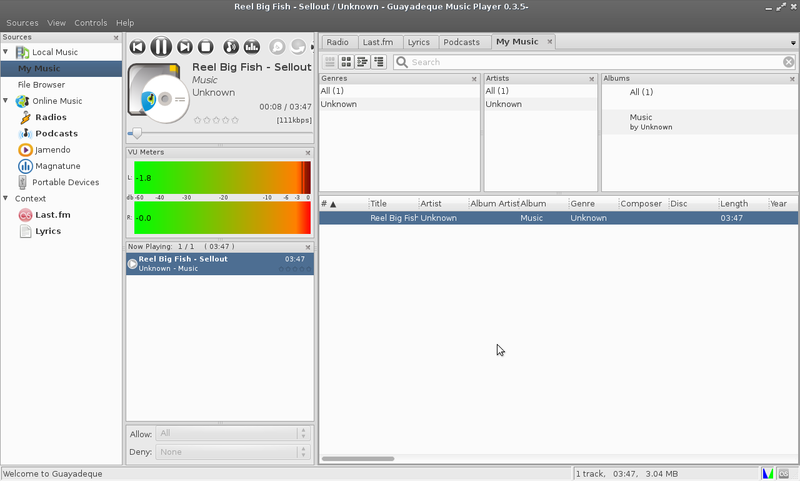 To get around this problem I installed Guayadeque which I have to say has grown on me as an application in the last month as I use this as my default music player on the Raspberry PI. The MP3s on my computer played back perfectly with no GStreamer errors which is normally the case when MP3 codecs aren’t installed. To change the background right click on the desktop and choose desktop settings. A settings window will open and you can choose to change the background to one of the pre-installed backgrounds or you can choose one that you downloaded. There you have it, something a little more colourful although still a bit drab. If you don’t like that one there is actually a really nice set of images provided with Linux Lite as the next image shows. Lite is supposed to be easy to use and lightweight in nature. 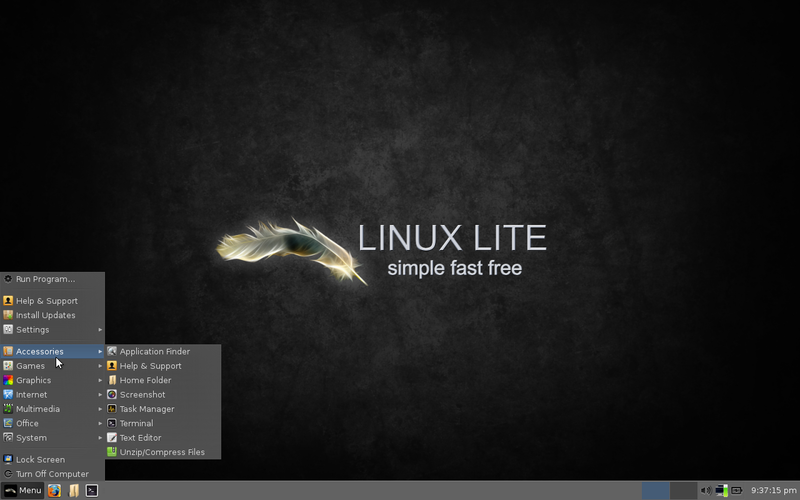 If you are coming from a Windows environment you will feel instantly familiar with Linux Lite and it will certainly breed new life into older hardware. Connecting to the internet is easy and Firefox is an adequate web browser although not as good as Chromium (in my opinion). By default you will have most of the applications installed that you need for common activities including LibreOffice and GIMP. There is also a quick access list to install other applications. Synaptic is also a very good tool for searching and installing applications from the Ubuntu repositories. The list of installed applications is a bit eclectic. I wouldn’t particularly say any of them are lightweight so really the only lightweight part of the system is the use of XFCE. There is also the glaring lack of an audio package. Linux Lite is very responsive. The boot times are good and I feel very comfortable using Linux Lite in the same way I feel comfortable using Zorin OS Lite or Peppermint OS. I also have to mention that Linux Lite is very stable. No crashes and no real issues have been encountered thus far and I have been using Linux Lite for a week. All in all Linux Lite is still in its infancy at version 1.0.4 so its true place on the Linux landscape has yet to be determined but it is has a good starting point to build from. I downloaded Linux Lite to a USB drive. I was impressed with the stability and speed of the OS. I have a 12 year old XP with a 1.6 gHZ processor and a gig of memory I am going to give it a try on. The processor is the slow part of the computer. I agree about the software selection, but it is easy enough to find lighter weight software. I actually like a distro that comes with less software, and I can add what I find useful. I am not a gamer, but Steam is included by default. Thanks for the ordinary person language! I wish more people would write this way. I have a netbook I dragged out of drawer because my Chromebook is in the shop, so I'm fiddling around with various alternatives to Ubuntu. "Last week I wrote a review of Manjaro"
Concerning Linux Lite its-self, you do not give any indication of whose kernel it uses, and since you mention Ubuntu repositories, the impression given is that Linux Lite is basically a trimmed down version of Ubuntu XFCE with some custom wallpaper and theming and perhaps some different default applications choices. How many of the packages available are actually created by the Linux Lite team themselves? Thankyou for mentioning the broken link. I have fixed that now. The Kernel is 3.2.0.36 pae. 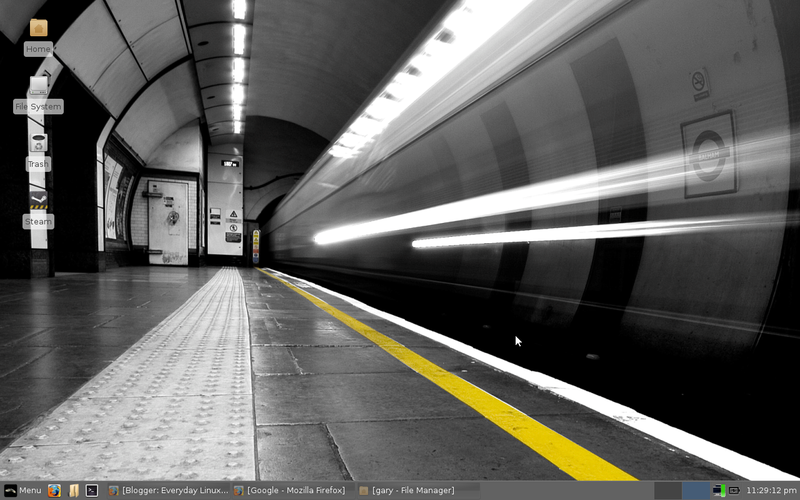 I think it is fair to say that Linux Lite is like Xubuntu with different application choices and custom wallpapers. Great distro. I particularly like the way the menu can be easily changed to exactly what I want on it. Simple scan would have been a nice standard addition. Automatic login did not work for me but was easily fixed manually. The Brother HL-2040 which is a commonly used printer in New Zealand did not install the correct ppd file, however this was easily remedied. Can I suggest as a general rule when covering installation to a hd that you specifically mention whether the distro installs its own boot loader without requesting the user whether they want it. This is particularly the case when one has another main use distro with grub/lilo already set up. It saves a lot of bother if some distros do this automatically. One then has the annoyance of having to sort out grub again to revert back to your main distro/other op systems. I have installed Linux Lite on a second hand Dell D630 laptop and it runs like a dream. Majaro failed because of the Broadcom wifi card but no issues at all with LL. It's still a very young distro but looking very promising. I've been using Xubuntu for a few years and I'm using Linux Lite now, I like it a lot. I've used other lightweight distros but they always felt buggy, incomplete, chaotic, or not so lightweight. The only problem I'm having is I don't know how to use the volume control in the lower right corner. It can mute the sound but no raise or lower it or at least I haven't figured out how to. I use headphones without an inline control so I use a volume control applet a lot. I can open the mixer from the Menu but this is inconvenient. The volume control might use the mouse wheel which I do not have, my track ball only has left and right clickers. Has anyone used the volume control next to the clock to raise and lower the sound levels? How do you use it? I put the cursor over the volume control and just scroll it up or down with my touch pad. Likely the scroll wheel on a mouse would also work. When Lite came out I was very happy, downloaded version 1.0 then 1.02 and initially 1.04; now with 1.06 it became uninstallable it freezes during installation and or tells me that mine dvd rom is malfunctioning ( dvd rom tested with Mint ok) or that iso is missing folders, the first and only time I managed to install 1.06 it took hours (about six), So I decided to go back to 1.04 version and now after some updates my computer shuts down suddenly, turned off hardware acceleration to no avail. So good bye for the moment Linux lite, I hope this problems described are happening only to a few of us. My computer is an Intel iv 3.2 gigs, memory 1.5 gigs. I enjoy all of your reviews. My favorite is Xubuntu. My favorite browser is Firefox, I use both Firefox and Google Chrome. I use Chrome for work (Calendar and gmail.) this way I don't have switch with in Firefox. As a non geek I keep hesitating about installing a linux distro. My main motif is that I am totally fed up with the ever ending demands for time consuming updates and slow response of windows 7 starter on my netbook. How user friendly is linux lite for someone without a computer hobby like me? Wil it work or will I encounter too many issues during installation and using the system that are easy for insiders but hard for others? The two most common stumbling blocks for new users have typically been disk partitioning (splitting up your hard drive into sections for different purposes/OSs) and drivers for your hardware (WiFi and printers, most commonly). If you don't intend to continue using Windows, then disk partitioning is likely a non-issue – just let the installation program do whatever it wants to your hard drive (just make sure you back up all your important files to somewhere else before starting!). Hardware support is also far less of an issue nowadays than it used to be. If you want to be sure before starting, many distros offer a "live" version which lets you see how well it detects your hardware before committing to installing said distro. Well worth the time invested going that route so you can have peace of mind before starting. Linux Lite is basically a trimmed down version of Ubuntu XFCE with some custom wallpaper and themes and perhaps some different default applications choices. Anyone With a little know how can create there own DISTRO based on UBUNTU or DEBIAN…..Use your brains every one this DISTRO is a copy cat of UBUNTU nothing more. oh you don't say ??? in the linuxlite website they clearly state : "BASE:Ubuntu 12.04.4 LTS"
Lunux Lite is a great distro, but it's impossible to choose another desktop environment at login, no matter how many times login sessions are edited. Is it necessary to completely remove XFCE to be able to do this? Your ISP should have no bearing on your choice of OS. Assuming there's nothing particularly unusual about your setup (and I honestly can't think of a single example that a beginner would have which would make it so), everything should just work out of the box. All you should need are your passwords (admin password to log onto the router from a web browser, and the password for your WiFi network). I have Comcast and the only time they would ever care about your OS is if they had to walk you step-by-step through configuring your network — if you need this kind of hand-holding, then you should have a techie friend with you instead if you're going to try Linux (s/he doesn't even have to be that good of a techie as basic internet/network configuration really isn't all that complicated and most of the time it's almost completely automated through something called DHCP). And heck, technically you don't even need the router password (although you really *should* have it) — just the WiFi password should be enough. And even THAT is likely not even required if you plug the computer directly into the router via an ethernet cable. Nice review. Thank you, man. I really hate this form construction. Typed a whole story and lost it when I login! My system that runs Linux Lite had been on the shelf for about 6 months. When I fired it up the other day (mid February 2015), I allowed all updates to download and afterwards the Chromium web browser would not run. Package Manager shows it as "installed" but it will not open. Even tried to delete and re-install but no dice. Any suggestions on how to correct this issue? 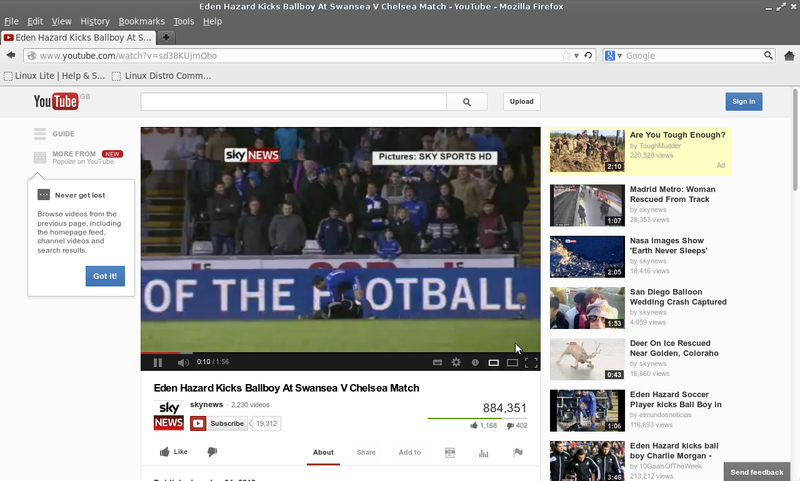 Chromium with Linux Lite made this old dog of a PC hum along nicely. In the meantime, I've found Seamonkey to run a little faster than Firefox but would stil prefer Chromium. Thanks in advance for any insight!